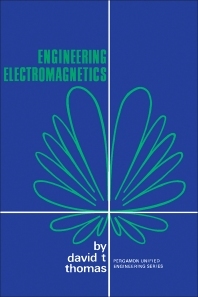 Engineering Electromagnetics presents a bold approach to the teaching of electromagnetics to the electrical engineering undergraduate. This book begins by adopting Maxwell's Equations as the fundamental laws, an approach contrary to the traditional presentation of physical laws in the chronological order of their discovery that starts with Coulomb's Law. The use of Maxwell's Equations provides broad physical laws of general applicability and prevents confusion among students as to when specific laws may be applied. A problem solving or engineering analysis approach is used extensively throughout this text. Real life problems are presented and then reduced to an appropriate model or facsimile for solution. This publication is intended for engineering students at junior or senior level.